Ah Corruption. To quote Mr. Rajinder Puri from his article Blame Kalyug – Not Cricket! 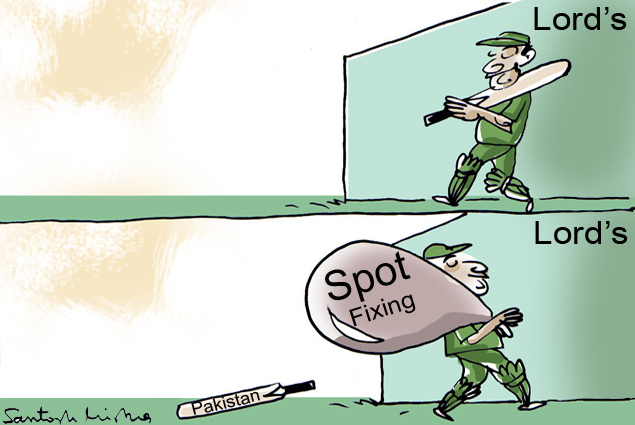 [ http://cms.boloji.com/index.cfm?md=Content&sd=Articles&ArticleID=8051 ] - Why single out cricketers for blame? It is better to accept the simple truth that cricket is no longer a sport. Cricket is commerce. Many politicians have muscled their way into managing cricket. They don’t do this because of their interest in the sport. They want a share of the loot.